How will digital platforms for creating books and other types of knowledge systems generate new forms of community, conversation, production and resource sharing among readers, and between readers and writers? How can these platforms serve as hubs for new forms of collective authorship and critique? Will these communities move from consuming texts to becoming collaborators and producers? How should authors and publishers adjust their methods for writing and constructing books to leverage the social capabilities of new reading and publishing formats? Will changes in the production of books and other tools for containing, ordering and sharing knowledge transform the nature and definition of “knowledge” itself? Torie Bosch, editor for Future Tense and Slate Magazine, describes how she is writing about “hate mail/posts” on an intellectual level. For about a year now I’ve been an active member on the Skeptics forum within the Stack Exchange (SE) network. Stack Exchange bills itself as “a fast-growing network of 114 question and answer sites on diverse topics from software programming to cooking to photography and gaming.” Many of my readers will be familiar with Stack Overflow, the site for professional and enthusiast programmers. Stack Overflow shows up frequently in search results about various software- and programming-related queries. The other sites in the network are less popular by several degrees of magnitude, but they also have more of a community feel. On Skeptics, the core group is small enough to recognize its members by name. My purpose here is to describe this little corner of the Internet, both as an ethnographic exercise and as a moment of self-reflection. At the very least, I hope to capture a snapshot of the quickly evolving life of an online forum. All Stack Exchange sites look and work the same way, using the same underlying software service. The idea of question and answer forums has been around since the early pre-Internet days of bulletin boards: you visit, write a post that asks a question, and hope someone answers. SE improved on that model by seeking not just an answer, but the definitive answer. Where general forums encourage open-ended discussion, SE is set up to finish the conversation. In a perfect world, a question should have one succinct answer. That is what makes SE so popular. Where, on other forums, the answer is hidden in a long string of replies, SE prominently features the definitive answer on top of the pile of responses. Like many other social web sites, SE is heavily “gamified.” Active users get points for good questions/answers and badges for various achievements (like answering a particularly old question, for example). A registered user is able to vote on the quality of the post (in a binary way, either up or down), adding to the total count of the author’s reputation points. The end effect is a system of social filtration. Poorly-received posts “sink” to the bottom of the pile. Quality content “floats” to the top. Points and badges (which are the essence of gamification) can feel infantilizing sometimes, but in this case the achievements are tied to real editorial privileges. It takes roughly 125 points (at 10 points per upvote) to be able to downvote someone, for example. At 2,000 points, a member can start editing all questions and answers (and not just her own). The ability to vote to delete posts from the site entirely kicks in at 3,000 points. 20,000 points grant further editorial privileges. Interestingly enough, the community moderators are elected in an open election that does not require a reputation threshold. Of course most moderators (who can do things like change the look and feel of the site) tend to be long-time contributors to the community. This model of governance rewards stable identities and active, high-quality participation. (The quality part is an important piece here. Other reward systems encourage quantity over quality, which can result in the frequent appearance of repeated “meme” content. At SE, such posts would be voted down and some effort is taken to remove duplicate content). The Skeptics forum has high evidential standards. Questions must present a notable claim—something that appears in popular media, for example. Similar to the Wikipedia policy, SE answers should not contain popular research, relying rather on peer-reviewed scholarship and other reputable sources. When the answer is good, other members of the community may ask for further clarification, better source material, or offer other editorial suggestions. And, although it is not required, the person asking the question is encouraged to accept the correct answer, which brings a few extra points to the answerer. Writing these posts is time consuming, taking anywhere between a few hours (when the answer is limited to simple citation) and a few days (when it requires extensive synthesis). Why do I contribute? First, I find it relaxing. There is great pleasure in using my research skills in areas which I don’t normally encounter in my professional life. Second, I believe in the cause of tough-minded skepticism. It is the sort of thing that often goes by the name of “critical thinking,” even though few are willing to apply it to all aspects of their belief. Third, I feel compelled to do it as a small measure of civic duty or citizen scholarship. I have easy access to university resources like PubMed and JSTOR, which are closed to the rest of the world. It takes me just a few minutes to answer questions like “Do girls mature more quickly than boys?”4 or “Is the value of a tree $193,250?”5 using fairly reliable, state-of-the-art sources. Finally, I find in Stack Exchange a powerful model for academic publishing (or publishing of any kind for that matter). Running a journal requires an enormous amount of work (by editors, managing editors, and reviewers). Most of this labor is invisible and, for the most part, unrewarded. We could learn a lot about streamlining the peer-review process from communities like SE. Imagine, for example, accruing reputation points for being an active reviewer (or being on time with your comments), and then trading those points for expanded editorial privileges or for faster turn-around times when submitting your own articles for publication. Dennis Tenen explains his group’s strategy for exploring Digital Textual Communities throughout the book sprint. Dr. Anouk Lang and Scott Selisker list the questions that their group have formed while writing about digital textual communities. For our third and final sprint, our Digital Textual Communities group has opted to produce a series of case studies of online communities that each of us belongs to, in order to give an insider’s perspective (or an emic approach, to be technical) about what it was like, in early 2014, to participate in these spaces. Our definition of a digital textual community has been kept deliberately broad, and resonates with what we have been calling the “ambient text”—the state of being surrounded by a flow of digital text, whether in the form of the Gchat windows that pop up unbidden on your laptop while you are attempting to concentrate on something else, the Twitter conversations that you follow while waiting for the lights to change, and the “old media” textual manifestations such as the advertisements at the bus stop or the book that you carry to read on the bus. I have chosen to write about my neighborhood social network, a digital textual community that I have belonged to since its inception. To keep it anonymous, I’ll give it the pseudonym NorthLondon.org. This site has been in existence for somewhere between five and ten years, and was set up by a private individual with no links to the local government authority or existing community groups. It is sustained by the ongoing care and attention of its founder and a small group of dedicated moderators, and has won international awards for its contributions to improving the neighborhood. Its membership currently stands at over seven thousand. It is not a textual community in the sense of gathering together people to discuss texts, but it is a platform on which communication with others is done almost entirely through text. Participation in it involves, of course, an aspect of identity management. I myself have two identities on the site: a primary one, which my friends know is me, and another more anonymous one for activities that I don’t want tied to my primary identity (usually for security reasons, so as not to give away where exactly I live). I think the site is worth writing about in this context because it is unusual for a social network in that a larger-than-normal proportion of its members have met in real life, evident from the number of events such as pub meet-ups that are organized, and the many threads in which individuals arrange to meet in order to loan each other equipment, pet-sit for one another, swap plant seeds, and so forth. There is some disagreement on the threads, and a small amount of trolling, but for a digital community there is a generally high level of civility, which I put down to the fact that participants are aware that there is a good chance they will know, and be known by, at least some of their interlocutors in real life. What is it like to belong to this community? I’m wary of waxing techno-utopian, but I feel more at home in my neighborhood than I have in any place that I’ve ever lived, including the sleepy suburb of Sydney where I spent fifteen-odd years as a kid, and NorthLondon.org is at the very top of the list of reasons why. It tells me what is going on. It helps me to find people whose interests match mine. It has helped me to find people who have been happy to lend me various pieces of home hardware equipment, and to lend out various things myself; to uncover local knowledge about who is best at fixing a leaking roof and where the go-to places are for taking small children on rainy days. Through it, I found a nanny share, and a spare flat for visiting friends to stay in. My partner found a cricket team, and through that a group of friends. On my way to and from the tube station and the corner store, I pass people who I know and who will smile at me—a rarity on the mean streets of the capital!—because we have encountered each other first via NorthLondon.org. London has a reputation as a large, hostile city, in a country of famously reserved and unfriendly people, but the virtual community that has grown around this site has managed to cut across many of the social barriers we tend to throw up around ourselves, often for good reasons, in an overcrowded urban environment. Rising above the personal to the communal level, other good things have been brought about by the site. There has been a great deal of local campaigning, some of its successful, to fix local problems from the mundane (litter and traffic) to the substantial (mistakes made by the local council, which have been pointed out and rectified). Recently, in a high-octane thread (which the writers of Law & Order should totally make into a storyline; I look forward to hearing from them with a proposal to consult), some muggers were reported to be operating along a particular stretch at a particular time of night. Thanks to reports by site members (and, it appears, by police picking up information by lurking on the site) the suspects were caught in a police sting. One of my favorite occurrences is when a site member comes across a historical document (sometimes by knocking down a Victorian wall in their house and finding it among the rubble) and posts about it. It may be, say, a list of names of residents who lived in a particular road in the 1940s, or a photograph of a road which had just been bombed in the war. This generates a flurry of responses as current residents chime in, asking about who lived in their house, or adding details about the photo. The site provides a platform for recuperating, sharing, and preserving an oral history of sorts about the area that might otherwise be lost. I love learning things about my adopted city, but even more than this I love seeing my neighbors engaging with these historical texts, speculating about the past, making connections, and generating meaning in co-operative ways that are more than a little redolent of the way readers engage with books and with each other. I read those threads with delight, and I see the people who have posted on them in the pub, or walking their kids to school. The many threads of this sort that are woven together on NorthLondon.org make me think of my neighborhood as a text. Sometimes this textuality is almost literal: the sidewalks on one half of my road differ from those on the other half, and one day I discovered from NorthLondon.org that this was due to a historical boundary between local authorities, who had different means of upkeep for their roads. That historical boundary has long ceased to exist, but its traces are still visible in the built environment, and every time I pass them I can read London’s shifting political divisions in the ground under my feet. The digital community, which you could term a geographical paratext, brings the local environment to life in unexpected ways. Some notes about the interface, as we are in part writing this as a quasi-historical account of what participation in such online communities entails. Much of the site’s activity consists of threaded discussions; those who post in them are informed of updates by email (and these notifications can be turned off). Members can post events; there are groups to which one can sign up in order to be kept abreast of activities in that group. Many members use real names and actual photos of themselves for avatars (I choose not to). As is standard for online social networks, there has been a fair degree of grumbling about the site’s interface, and from time to time moderators respond with changes. There is an automated system whereby the first dozen or so words of new forum posts are sent out on Twitter, meaning that it’s possible to discern the presence of content that moderators have decided to delete. Moderators’ decisions to delete threads or individual posts are from time to time challenged, but the moderators are well-known in the face-to-face world and so there are usually plenty of members who jump to their defense. In terms of demographics, it is obvious that the site excludes a large proportion of the people who live in the area (which has high numbers of Greek, Cypriot, Turkish, and Polish people): those who do not have English as a first language, and who tend to be older. It’s noticeable when someone is an outsider, because they don’t know the conversational norms, they type in all caps, or they will perhaps come on to the site without a history of prior posts and rant about something that is upsetting them without giving any indication of how they could be practically helped or even contacted. Sometimes site members will offer gentle suggestions; sometimes these obvious interlopers will simply be ignored. As with any community, online or offline, you need to be fairly expert with the established communicative conventions to take full advantage of all the resources the site offers. (I feel like it took me years of lurking on other forums to learn the rules of engagement for this one.) Discursive behaviors that contravene the site’s norms have led me to notice the ways in which I’ve learnt to conform, which include conventions such as these: if asking for advice, signal that you have already done a search; tag your posts correctly (posts asking for recommendations for a good plumber need to be tagged with “plumber”). This is part of a grammar of community participation that is every bit as important as linguistic grammar for laying claim to group membership. If our smartphones, responsible for so much of the “ambient text” in our environment—such as the NorthLondon.org thread I checked one evening before deciding not to head down the street on which the muggers would shortly be arrested—are making it increasingly easy to link text to geolocation data, this is something that serves to blur the distinction between the book and the map. It’s a feature that I think will increasingly come into play as we imagine the future of books, and the future of the communities that cluster around them. It’s not as easy as it might seem to figure out what percentage of Wikipedia’s editors are women. A 2011 survey said that worldwide, it was just 9 percent, while Benjamin Mako Hill and Aaron Shaw estimated in a 2013 PLoS One paper that it’s 16.1 percent; the 2011 survey suggested that 13 percent of U.S. editors are female, but Hill and Shaw put that number at 22.7 percent. Estimates could be skewed by the fact that many Wikipedians choose not to share their gender with the site, and women may be more likely to omit that information. In high school, I was the only female student in my C++ class; though it mostly vexed me, I’ll cop to deriving a certain pride from it. But I was a dreadful programmer, still am, and so decided to devote myself to fighting the tech gender gap in other ways. It would stand to reason that becoming an active, engaged Wikipedia editor would fit this mandate exactly. Yet like many women, I find myself too intimidated to dive in. After Wikimania 2012, invigorated and inspired, I signed up for a Wikipedia account—and in the 18 months or so since, I have made exactly one edit. It was a tiny grammatical fix. After my edit, I attempted to explain my change on the text page, then realized afterward that my explanation itself was done incorrectly. I felt embarrassed and haven’t made a change since—a silly, self-involved, wimpy move on my part. When editors were asked in another survey why they didn’t contribute more, one-quarter answered, “I am afraid of making a mistake and getting ‘in trouble’ for it.” It’s a response that I identify with. The conversation on Talk pages on Wikipedia can be aggressive, dismissive, legalistic in enforcing rules. Virtual battles can become heated on topics large and small; the list of the top 10 most controversial Wikipedia pages in 2013 includes both global warming and “List of World Wrestling Entertainment, Inc. employees.” For someone conflict-averse, any edit could feel like a potential landmine. “The site, by its nature, favors people with an intense interest in detail and a high tolerance for debate,” Sady Doyle wrote in Salon in 2009. It also favors those who enjoy showing off their knowledge; being self-effacing is not desirable. On the Internet, the maxim says, nobody knows you’re a dog. No one knows whether you’re a woman, either. But social conditioning and personality are difficult to overcome. But perhaps editing with a strong avatar in mind might empower me to return and make that second Wikipedia edit. While teens and 20-somethings opt for the short and ephemeral—text messaging, tweeting, and sharing Instagrams, Snapchats, and Vines—the digital textual community where many of the rest of us spend too much of our time is within the confines of our email client. God knows we don’t do this by choice, but due to the exigencies of work, it’s how we communicate and interact on a broad range of topics from the mundane (setting times for meetings) to the substantive. Two years ago I got an email from a designer in my company. Although short, only four paragraphs, the email comprised a number of discrete issues and I realized how complicated the discussion would become. Yes, I could respond interstitially, placing each comment below the text it referred to. But my colleagues might or might not respond in kind. Some of them prefer to make their comments at the beginning, some at the end. And of course there is the problem of timing. If two of us make relatively simultaneous comments, things rapidly get out of hand in terms of keeping track of who said what, in response to what, when. By the end of the day we would be spending as much or more time and brain power unpacking the thread than dealing with the subject matter at hand. Or to put it another way, the structure of the communication in email has a way of unintentionally becoming the primary subject. Since there was only one instance of the document (not multiple as there is in email), everyone’s contribution was represented in a very clear time order. There was no doubt as to what had been said when. Because SocialBook allowed us to respond to specific text strings, it was very easy to focus the conversation at exactly the right nodes. SocialBook gives equal weight to the original text and the conversation that emerges around it, making it much easier to consider the responses in context. The improvement in efficiency was palpable and we haven’t used email for any substantive discussion since that day. The success of this experiment surprised me since when we started designing SocialBook, supplanting email was decidedly not a target. So I started wondering how we ended up with a viable alternative. As a further experiment I took the same four paragraphs plus our commentary and tried to recreate it in Google Docs. Ugh! While Google Docs allows everyone to make changes to a document, it does a terrible job of capturing the conversation that might explain the reasons for the changes. From the other direction, I also looked at some of the other social reading platforms which, while better than Google Docs or email, did a relatively poor job of exposing the conversational thread in the context of the original text. After speaking at length to SocialBook’s technical team, I began to understand the source of its strength. Google Docs likely started with a word processor to which they added a primitive social layer. Other social reading schemes probably grafted social onto a basic e-reader. SocialBook on the other hand built its architecture from the ground up, basing its architecture on the core principle that people are going to gather around the text. The result is one of emerging class of what I call collaborative thinking processors. If you draw a Venn diagram with two ovals, one being reading and the other writing, the overlapping bit is where thinking takes place. SocialBook’s strength stems from its ability to create a space optimized for thinking and reflection. Even if I’m reading by myself, just by providing an expanded margin I’m encouraged to annotate. The act of annotating encourages me to think more deeply about the text. Add other people to the mix and two things happen: Because others may read my comments, I think all the harder about the subject and how to express my thoughts, and more importantly I’ve got collaborators to help me think through all the interesting bits. Pretty much all I teach these days are classes on the study of writing in digital communities. For 15 weeks, students in my undergraduate and graduate courses embed themselves in a space of their choosing and investigate how participants write, read, communicate, and think in that digital network. I’ve had the pleasure of reading studies on interesting linguistic constructions like the “because noun” and “I can’t even.” I’ve learned about the ways that language gets debated on the black hole that is Tumblr, and I’ve witnessed countless ragequits and twittercides as they are documented and analyzed by the student scholars in my classes who write with clarity and confidence about the people in the communities they study throughout the semester. We talk about the difference between image macros and memes (they are often taken to mean the same thing, where one is actually a subset of the other). We construct research questions that often boil down to: “Why would anyone waste their time on that?” We then design qualitative (short term) ethnographic studies that attempt to account for why people spend hours a day buying and selling pixelated items in virtual auction houses, or why it’s not cool to retweet a post from someone’s protected account. Students have taught me the difference between “bro” and “brah,” learned via investigative research into fantasy sports leagues. They’ve explained doge to me in ways I could have never possibly understood without their assistance. Best of all, we have learned together how difference is best appreciated when experienced firsthand. The rest of the world may not understand my obsession with flowcharts, but my fellow Pinterest users sure do. To them, it makes perfect sense why anyone would want to spend hours a day curating their niche collections of taxidermy photos and DIY lip balm recipes. I’ve always believed that to study language is to study people. Studying how people write and value texts and paratexts in their everyday lives is to appreciate perspectives that were perhaps previously misunderstood. From the insides of these communities, we can make and share meaning in ways that feel different and somehow new. Take, for example, the 19-year-old Tumblr user who created a comic about white privilege. The comic itself generated a huge buzz and loads of negative backlash from nasty Tumblr users. But in the end, it’s a teaching moment for those of us who study the ways that people use Internet-based writing spaces to communicate with one another. On the one hand, this communicative form enables hate and ignorance in countless ways. On the other hand, it exposes hate and ignorance in concrete, readable, consumable ways, too. The raw, unedited, unfiltered Internet communities are rich with opportunities to teach students about the power of language and text. I believe strongly in exposing students to both the bloody awful and the radically accepting ways that digital textual communities shape our lives. In 2006, I was a co-author on a white paper titled “Confronting the Challenges of a Participatory Culture: Media Education for the 21st Century,” primarily written by one of my mentors, Henry Jenkins. In that piece we wrote about something we called “the transparency problem.” The “transparency problem” is the notion that adults (educators, parents, mentors, media makers) often mistakenly assume that because young people are “born digital” as “digital natives” (an idea, by the way, I wholeheartedly disagree with) they must be so rhetorically skilled at interpreting media messages that they don’t need our help “to see clearly the ways that media shape perceptions of the world” (p. 3). While it is definitely true that some people younger than I am are more knowledgeable about digital tools and communities than I am, it is equally true that I still have plenty to teach them about these spaces, too. That’s why we work on understanding these spaces together. 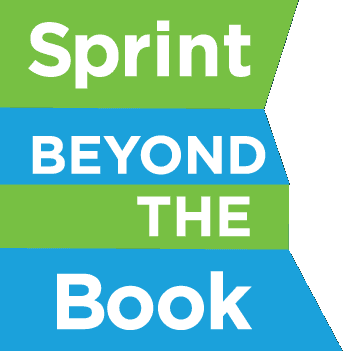 Shared understandings of shared languages, artifacts, and activities enable us to become better thinkers and writers, and that, in turn, enables us to share better thinking and writing with other communities, like the folks participating in this Sprint Beyond the Book. Thanks for reading, and feel free to invite me to understand your weirdo niche subreddit or strangely addictive Pinterest board. For our final sprint, the Digital Textual Communities group is taking case studies in…digital textual communities, especially those in which we have participated. Mine is the Los Angeles Review of Books (LARB), which is a site dedicated to reviews, essays, and interviews. It’s based out of UC Riverside, but with a public-facing humanities ethos that I and many other humanities scholars find promising as a model. In my previous post, I was trying to expand a concept of “the book” to include all the digital paratexts—fan responses, reviews, and creative engagements, among others—that proliferate around contemporary fiction. This expanded concept of the book might be applied as easily to genre texts that have become fan phenomena to literary texts that make the rounds on blogs like The Millions. The LARB is an online community built around books and culture that, from my perspective as an occasional (well, twice) contributor, is driven primarily by ethos. The site is beautifully designed but also simple and not unusual, and, unlike the communities my co-writers are discussing, the language is pretty ordinary, too. The LARB started as a Tumblr site for most of a year before being redesigned and deployed as a stand-alone site, but in both forms its writers and readers have treated it as an increasingly ordinary genre, the online magazine—something just a bit more formal than a blog, by virtue of articles being pitched and revised by editors. The defining feature of the magazine (which is now also a print publication) seems to be not in its form or its language but its ethos. It features intelligent and lively—not academic in the bad sense, that is—engagement with great new books and literary and arts culture, written largely by humanities professors and students, as well as authors and other critics, for anyone out there who might be interested. It was a belief in this attitude about the great potential for public-facing humanities that got me excited enough about it to participate, both as a commenter and contributor. My first point with this example is that ethos, a defining attitude and approach—rather than linguistic practices or the forms that interfaces might take—may well be the most important defining feature of online communities in general as we imagine them. My second point reiterates my conclusion in my previous essay: the wide variety of online communities that cohere around books is something to be recognized and celebrated. Regardless of the form, the physical container, the word count, or the interface, the book—as shorthand for a site of sustained engagement with textual content that excites us—will probably stick around. A group discusses how digital textual communities will form and change with the future of the book. In my scholarly life, I research the ways that people use language in social media contexts. To do this, I use two methods/approaches to language—the so-called “New Literacy Studies” (NLS) framework and something called “North American rhetorical genre studies” (RGS). I basically spend a lot of time participating in and observing social media communities and contexts, watching for trends and patterns to emerge. I try to determine whether these practices are recurring enough to be a “thing” (a genre), and if so, how and why they work the way they do. For example, I’m interested in how hashtags were once designed and used primarily to sort information, but over time have become more metacommunicative and contextualized for certain purposes and populations. What might have started as a wayfinding tool to enable searches within big data sets (#tbt—short for “throwback Thursday” or #sorrynotsorry or #sherlocklives) is now an identity expression used to signal membership within an online network or space. Communities of social media users are retaining the hashtag form but redesigning its function in order to achieve specific rhetorical objectives. The very act of posting via social media has its own language depending on what’s being posted by whom and in what context and for what platform. What it means to tag an image in Tumblr, for example, is markedly different from tagging images on Instagram. Pinterest uses the hashtag (#) form, for example, but its function is essentially useless as an organizational tool for searching (as of the writing of this post, anyway; that might change). Therefore it is only through sustained, contextualized participation in these social media communities that users come to redesign language forms in order to achieve new meanings. And each community or network has its own (often strong) opinion regarding what things mean and even how they should mean (e.g., see the numerous anti-hashtag Facebook groups, or the regular debates among Imgur users about whether hashtags should be used there in the ways that they’re used on Tumblr). Perhaps not surprisingly, this is very close to the way that language works in offline networks as well. Language has always been social, and it has always been a product of particular situations as they arise within specific communities. Even in the dark ages, monks were writing notes to each other in the margins of Latin texts. Therefore any discussion of how texts work must necessarily include a study of the places from which those texts were born. Language and culture are inextricable. Social and digital media forms must reflect their cultural ecologies. Of course this presents an interesting methodological problem for those of us who study these things. Is it possible to study how language works without participating in its community? Yes, but I would argue that the “emic” (as opposed to “etic”) perspective gained via participant observation and ethnographic data collection will yield the most accurate and nuanced understanding of language-in-use. Can a great study of Twitter be conducted via a “scrape” of a large set of data? Absolutely. But the questions I hope to answer in my research require me to work from the inside-out. I guess I’m just one of those scholars who believes the richest knowledge about language, writing, and literacy comes from my direct experience with the people who are producing new meaning-making practices via social media every day. Reading and Writing have always been profoundly social experiences. It’s the reification of ideas into printed, persistent objects that obscures the social aspect so much so, that our culture portrays them as among the most solitary of behaviors. This is because in the print era, what we characterize as social takes place outside the pages—around the water cooler, at the dinner table, and on the pages of other publications in the form of reviews, citations, and bibliographies. From that perspective, moving texts from page to screen doesn’t make them social so much as it allows the social aspects to come forward and to multiply in value. That said, the transition will take time. Not only do we need new reading and writing platforms which capitalize on the social affordances of digital networks, but the fundamental value proposition of our educational institutions—which rewards solely on the basis of individual effort—needs to change as well. “Plays well with others” may appear as a marker on primary school report cards but is rapidly discarded as children move up and out of the educational system. So it’s not just that we need new tools: we need a culture which rewards collaboration. Realistically, the breadth of knowledge in any one area is so huge today that individuals can’t be expected to possess a comprehensive grasp of a field or even a question within it. There’s a wonderful phrase from computer pioneer Alan Kay, that “point of view is worth 80 IQ points.” Bringing different perspectives to bear on a problem is likely to yield better answers, syntheses that no individual is likely to get to on her own. Writing is a fundamentally social activity. Even when you do it alone, in a locked room, wearing your new noise-canceling headphones, you are (hopefully) writing for someone. A private language, says Dr. Wittgenstein, is an impossibility. Reading is a social activity too, because at the very least, it is an encounter of two minds. But usually, there are many more minds involved: other texts, other writers, co-authors, co-readers, book clubs, literature professors, snooty bookstore employees, publishers, and book critics. Yet, these are quiet social encounters. They require a measure of focus, solitude, and introspection. It would be a mistake then to envision the future of the book simply in terms of social media. Part of what makes a book a book is its ability to block a part of the present physical world in favor of atemporal virtual reality. The book literally blocks vision. It privileges mental constructs over immediate input of the senses. To be lost in a book is to project one’s sense of being into another world. Let’s imagine then a better book, one that further protects the sanctity of mental life, at least for the duration of reading. Imagine a book which, when opened, literally surrounds its reader in a protective cocoon. Imagine a book that can balance the reader’s dopamine levels. Imagine a wearable winter coat book, a pillow and blanket book, an umbrella book, a climate-controlled book built like a house or a nuclear fallout shelter or a biodome. Paper, as it turns out, is a pretty durable material—much more durable than, let’s say, silicon chips or copper circuit boards. It can also be used for insulation, it bends and burns better, and can make for versatile construction material (for the folding of paper planes, for example). I say this without irony and without fetishism or nostalgia. Whatever technology comes beyond the book, it should at the very least do all those things better than cloth and paper.